Last week on Gotham, Penguin and Gordon teamed up to find the person behind the Haven bombing. However, their efforts proved to be largely unsuccessful. Meanwhile, Selina managed to track down and seemingly kill Jeremiah. 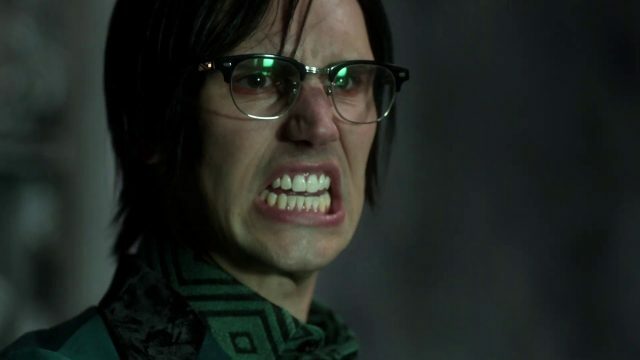 And Nygma learned that he was the one who fired the rocket that destroyed Haven. 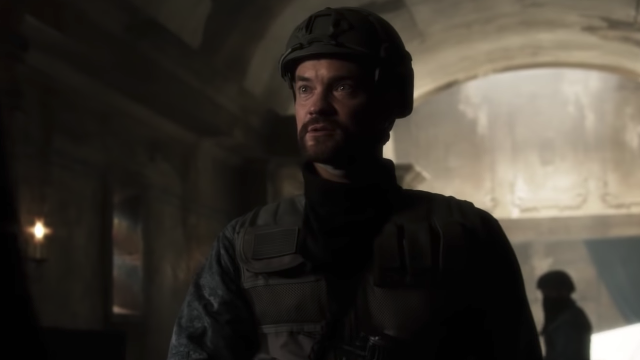 In Gotham season 5 episode 5, a military task force led by a man named Eduardo Dorrance is called in to provide relief to the struggling city. Concurrently, Nygma looks for answers about his condition from Penguin, while Bruce grapples with the morality of Selina’s decisions. Gordon and Bullock visit the arms dealer who sold the RPG before his men quickly ambush them. A SWAT team arrives saves them with a timely arrival. The newcomers are led by a man named Eduardo Dorrance. Back at GCPD, we learn that Eduardo and Gordon served together in the military, and that the government has sent the team to help clean up the city. They learn that Nygma could be the culprit of the bombing, so Gordon decides to pursue the lead with Eduardo while leaving Bullock behind. Nygma shows his frustration while listening to his old audio journals. He just can’t make sense of his actions. Suddenly, Gordon and Eduardo arrive, but Nygma tries to claim that he’s innocent despite confirming that he fired the rocket. During the confrontation, Eduardo gets caught in a booby trap, leaving Gordon between a rock and a hard place. Gordon Is forced to let Nygma go, and they eventually disarm the trap. Gordon puts the word out that Nygma is wanted for murder, and the remaining citizens rally around the call. At Penguin’s hideout, he’s in the middle of a business deal when he also learns the news about Ed. Nygma attempts to navigate the city, but he is quickly captured by a small group of citizens. With Nygma tied to a chair, some southern-sounding citizens torture him through electrocution because he killed their dog in the Haven attack. During this ordeal, Nygma has a flashback of Penguin, before he manages to escape by using his wits. Nygma sneaks into Penguin’s HQ, and gets the upper hand on his former friend. He begins question Penguin, but the latter argues that he’s not responsible for controlling Ed. Penguin reveals that the flashback was from the night he paid Hugo Strange to help save Nygma’s life during the bridge demolition. Nygma eventually slips away right before the GCPD men arrive on his tail. 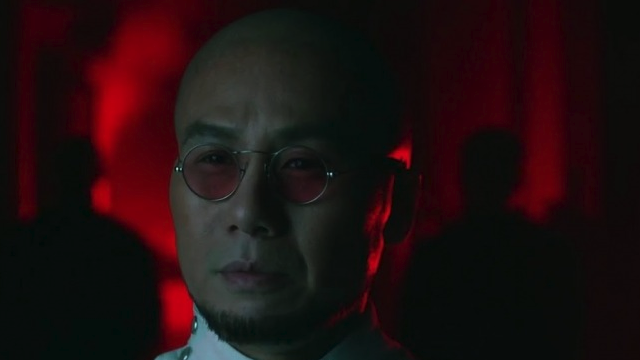 He then visits Barbara for information on Hugo Strange, arguing that someone is working with the mad scientist to control him. At Strange’s lab, Nygma surprises the professor at gunpoint looking for answers. Strange confesses that he didn’t know who was behind the Haven attack. However, Strange does admit to having the ability to control Nygma, although he’s not the one manning the controls. Before he can learn who is behind his actions, Strange manages to knock Nygma out and prepares him for another surgery. Back at GCPD, Eduardo learns more from Gordon about Scarecrow and the other gangs still in the city. Later, Bullock tells Gordon about a Nygma sighting at Penguin’s HQ. This time, Gordon decides to send Harvey and Eduardo. The GCPD men arrive and a standoff commences. Penguin tries to convince them to leave, but Harvey calls his bluff and the snipers kill all of his other men. Back at GCPD, Gordon interrogates Penguin to give up Nygma’s whereabouts. Penguin argues that the Ed was set up, and Gordon releases him in exchange for Nygma’s location. Elsewhere, Strange tinkers with Nygma’s brain to learn more about how Ed is aware that he’s being controlled. Strange finishes his work just as Gordon and Eduardo arrive. Nygma wakes, and we learn that Eduardo is the one behind the controls on behalf of his government employers. Eduardo holds Gordon at gunpoint, and tells him to shoot Nygma or be shot himself as a test of loyalty. Gordon narrowly escapes, and Eduardo programs Nygma to hunt down and kill Gordon. Bruce and Alfred’s search for Selina has come up empty. Additionally, Bruce grapples with what she did to Jeremiah, and vows to find her at any cost. Bruce arrives at Barbara’s HQ, where he discovers Selina celebrating Jeremiah’s demise. Bruce confronts Selina, but she reveals that she was in the alley the night his parents died, and did nothing to stop the murder. Selina argues that their moralities are vastly different, leaving Bruce questioning whether he truly knew her. Back in Penguin’s lair, he reveals a hidden safe room. Inside, there is a control panel. Later, Ecco (Harley) opens the grave of Jeremiah, and sees that he is still alive. In fact, it was their plan all along to make Bruce and Selina think that he had been killed. Using the Soothsayers’ tunnel , Jeremiah and Ecco arrive in one of Gotham’s mansions. Jeremiah’s doctor reveals two figures that have also been revived. As the camera pushes in to Jeremiah’s shocked reaction, he mentions that he “loves family reunions” before the episode cuts to black. 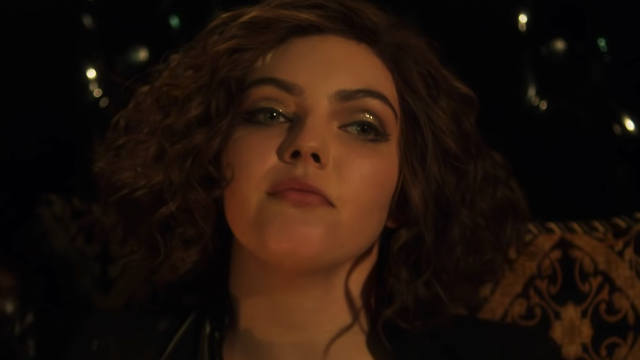 What do you think of Gotham season 5 episode 5? Let us know in the comment section below!